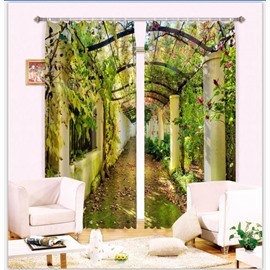 Decor your room with versatile decoration? 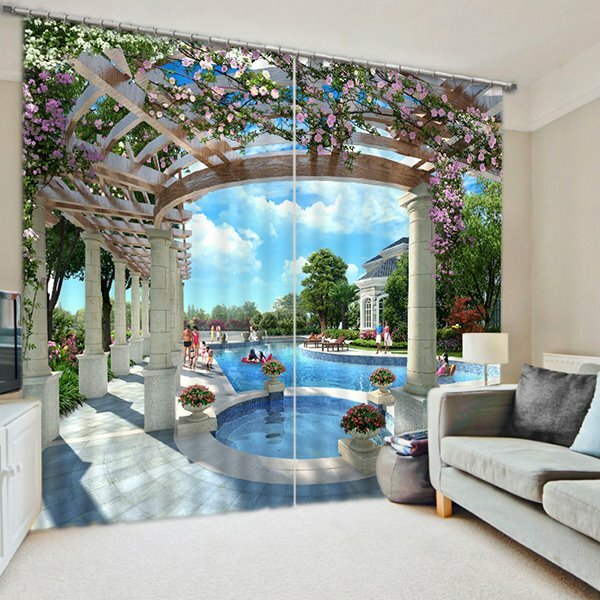 Look at our creative 3d curtain with beautiful flower house and swimming pool which not only can brings wonderful feeling to your rooms as a decoration, but also has blackout and dust-proof functions when you install them on your living room, bedroom, study and balcony. 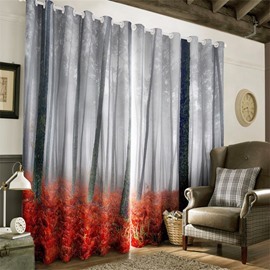 With skillful process techniques and high quality polyester materials , this curtain can be used for a long time. · All items are for real shooting. However, different monitors may cause colors to vary slightly. · There may have pleats on the surface of the roller shade after installation, please don’t worry, those pleats will smooth out automatically after several days. For quicker results,you can use a garment steamer or iron on the back of the shade, but be careful to avoid touch the fabric. 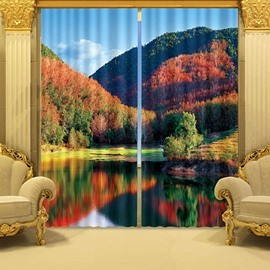 · This curtain is Made-To-Order . 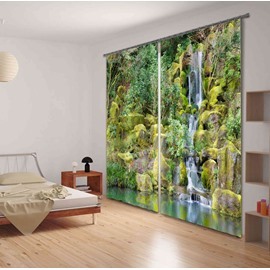 No matter you choose standard size or custom size, our tailors can craft each curtain for you to order. 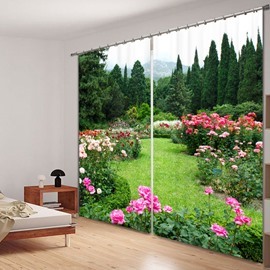 By selecting "Custom size", your curtain will be personally tailored for you. 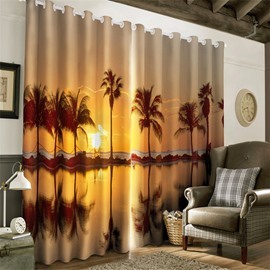 · Choosing us you will get the best service and highest quality Curtains. Beautiful curtains. I've recieved SO many compliments on these drapes. Good heavy texture and just enough room darkening for our dining room. 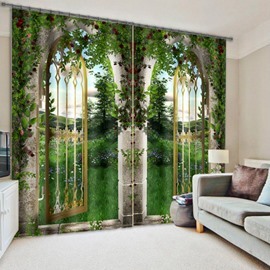 Absolutely beautiful curtains, my living room really was in the christmas spirit when I put these one. Got a lot of compliments from my friends and guest during the holidays. the material is nice and soft it has a backing on it, the colors are beautiful, better than in the picture. Thank you very much for a quality product at a fair price. 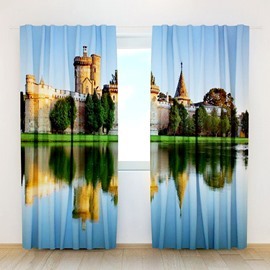 These are truly beautiful curtains, and the center of each lines up perfect with the opposite side.Looks awesome and completed my daughters themed room. Thank you!